Wireless charging in your car will be possible, and first to pioneer this technology is Chrysler, as it offers wireless charging in the 2013 Dodge Dart. Last year, Powermat had announced to provide wireless charging in several cars including Chevrolet Volt, however the plan did not work out. 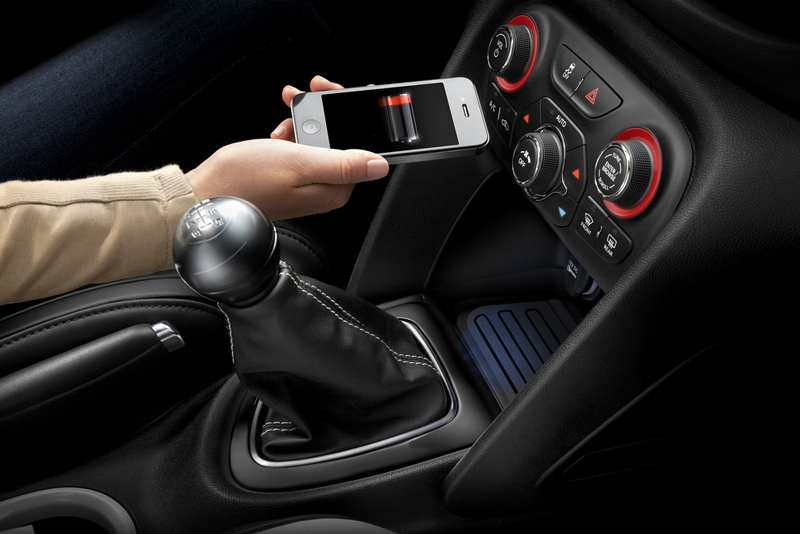 The 2013 Dodge Dart is now the first car in the world to feature built-in in-vehicle wireless charging system. This system is offered by Mopar and comes as optional and can be installed for about $199.99 (Rs 10,000), excluding installation charges. Described as industry’s first, the Dart’s wireless charging has a power bin of the dimensions 8.27-inches by 9.5-inches by 3.25-inches, located underneath the center stack. The charging grid can be activated by dropping the device to be charged inside the bin and charging begins using inductive currents. A mandatory phone container that permits the charging is required. The charging bin is compatible with a variety of devices including MP3 players and iPhone, Blackberry and Android mobile phones. Though the 2013 Dodge Dart is the first to feature the Mopar wireless charging system, it could be possible that OEM Powermat launches the device in market independently. This is a step further into wireless charging your gadgetry and will see several varieties in future. The day is not far when hybrid plug-in vehicles will be charged on wireless.